Halloween celebrations in New Orleans are one of the things that make this city so incredibly special. I've been a huge fan of this ghoulish holiday ever since I was a little kid. Candy, mischief, scary stuff, and getting to be a completely different person for a night. What's not to love? To further explore the uniqueness of Halloween in New Orleans, we are joined this week by two fantastic guests. The first, Hope Kodman vonStarnes, is no stranger to the show. Hope joined us for an episode in Season 1 where we discussed her efforts to open up Dynamo, her adult boutique. This time, Hope gives us insight into her other job as a New Orleans tour guide who regales visitors with tales of ghosts, murderers, and the macabre. Our other guest, Jennifer O'Blenis, is a veteran of the New Orleans nightlife. 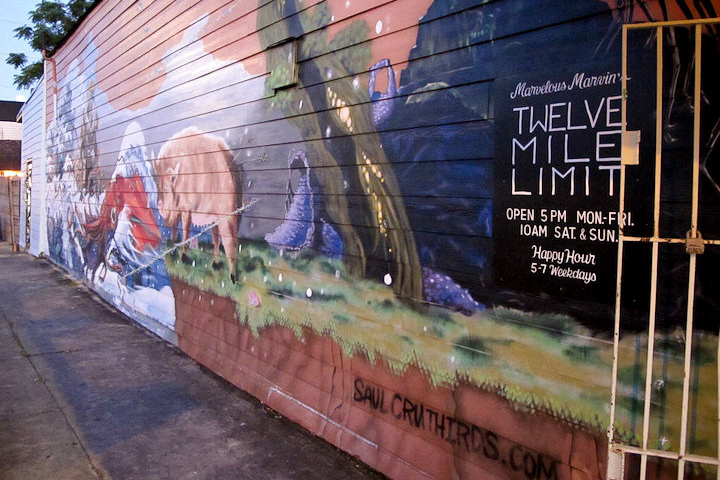 Her experiences as a bartender on Frenchman St during Halloween range from humorous to pretty much what you'd expect from one of the most wild, chaotic times of year. Anywho, great stuff here inluding Cole's favorite Halloween candy, tales of New Orleans axe murderers, and our favorite Halloween movies and shows to get you in the spirit of the season. One of the greatest parts of doing this show is getting the chance to sit down and talk with people that I have met but really don't know too well. It's even better when the people you get to chat with are as interesting as our guests this week: Isaac and Amanda Toups. Isaac and Amanda are Louisiana natives who followed their passion for food and hospitality by opening the magnificent Toups' Meatery in the Mid-City neighborhood of New Orleans. Since opening, their flagship restaurant has received heaps of well deserved acclaim and adulation. They've earned several James Beard nominations, and Isaac to competed on the television show Top Chef, where he was a finalist and won fan-favorite. With the success from all of these endeavors, Amanda and Isaac have now been able to open a second restaurant: Toups South, located in the Southern Food and Beverage Museum in Central City. I'm a bit of a fanboy, admittedly. In my opinion, both of their restaurants rank as some of the best in the city. And aside from that, Amanda and Isaac are just cool and hilarious people. Anywho, check it out and thanks for tuning in! This week we had the pleasure to host two of the hardest working "Bums" on the planet: none other than Jeff "Beachbum" Berry and Annene Kaye, AKA Mr. and Mrs. Bum. My personal history with Jeff and Annene goes back many years. I first met them as a bartender and would go on to help them open up their fantastic French Quarter Tiki paradise, Latitude 29. Here we get the chance to talk about the process of opening Latitude, the current state of Tiki, and the bar industry as a whole. Check it out, and let us know what you think? It's good to be back online. We took a brief hiatus re-tool the show a bit, and we are extremely excited to bring to you Season 2 of A Round with Steve and Cole! 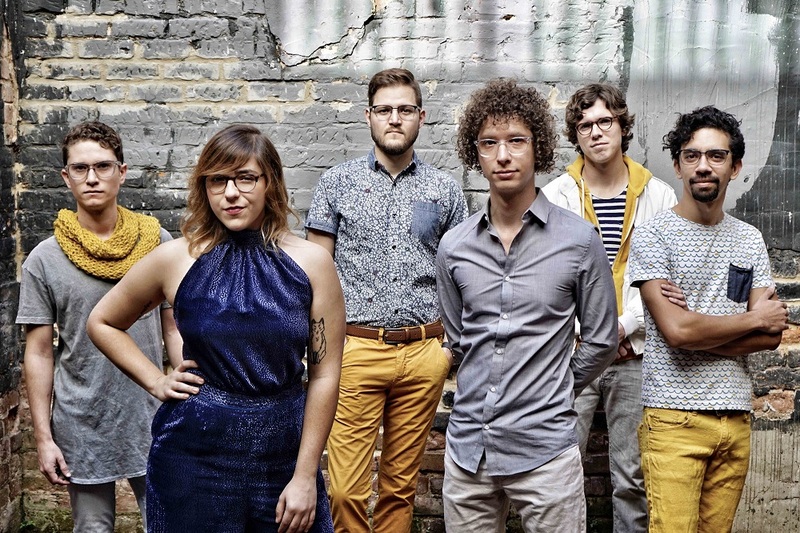 On this week's episode, we get a chance to chat with Skylar Stroup and Stephen MacDonald, two members of one of our favorite New Orleans bands: Sweet Crude. Composed exclusively of longtime Twelve Mile Limit regulars, Sweet Crude has found success bringing upbeat, culturally conscious music to the masses. Sweet Crude is dedicatied to the preservation of Cajun French through their lyrics, which are in both English and French. Skylar and Stephen are not only rockstars, but childhood friends from Mandeville who now work at the same company, iSeatz. 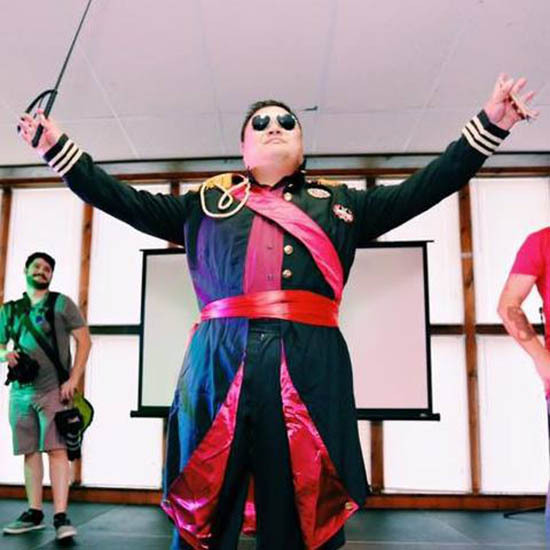 Their employers are survivors of the bursting tech bubble of the late 90's and now a pillar in New Orleans tech industry, or "Silicon Bayou". This episode was recorded at a time when both Stephen and Skylar could not be on the road with their band due to work and personal responsibilities. Balancing passion and responsibility is something that I think all of us strive for, and it's great to get perspective on how to manage this from two highly talented individuals. Anywho, it's great to be back. Enjoy the conversation and the music and let us know what you think? 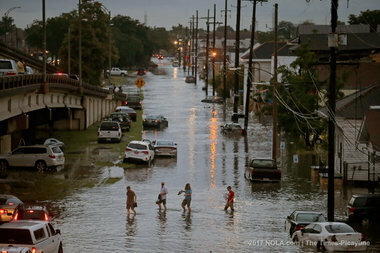 With the recent flooding in New Orleans, there has been a lot of talk about water and the way that our community deals with it. On this week's episode, we decided to approach the subject of water from a more macro perspective, as opposed to concentrating solely on the current state of our streets, pumps, and drains. We are joined this week by two amazing guests. Ariadne Acevedo, Outreach Team Coordinator at the Gulf Restoration Network, discusses growing up on the Gulf Coast in Texas and how that and her time at Loyola University led her to her current non-profit work. Maggie Olivier, a South Louisiana native who works in the Jefferson Parish Floodplain Management and Hazard Mitigation Department, talks about the role that the government plays in helping to manage the risks that water may pose to a community and steps that are being taken in Jefferson Parish to mitigate how flooding impacts their residents. Anywho, another great episode about what it's like living here in New Orleans. Thanks for tuning in, and we'll catch you next week! To most out there, our guest this week needs no introduction. To everyone else, allow me to introduce the one and only Kimberly Patton-Bragg. Kim has been a fixture of the New Orleans cocktail scene for years. She was the first President of the USBG Chapter here in NOLA and has run several prominent bar programs throughout the city. KPB (as us cool kids like to call her) is a naturally hospitable person. It's no wonder that she chose to pursue her passion for bartending over a career in stand up comedy and acting. It's clear, though, that her training for the stage makes her a unique and unforgetable barkeep. Besides her accolades, one of the things that I love most about Kim is her desire to mentor and teach others. She has trained a multitude of folks the craft of bartending. Many of us (yes, I too am included here) have taken the knowledge that she imparted to develop our own unique careers. She cusses like a sailor, loves to drink bourbon, is pretty handy with a rapier, and is one truly special individual. We had a blast getting the chance to get to know her better in this episode, and hope y'all enjoy! 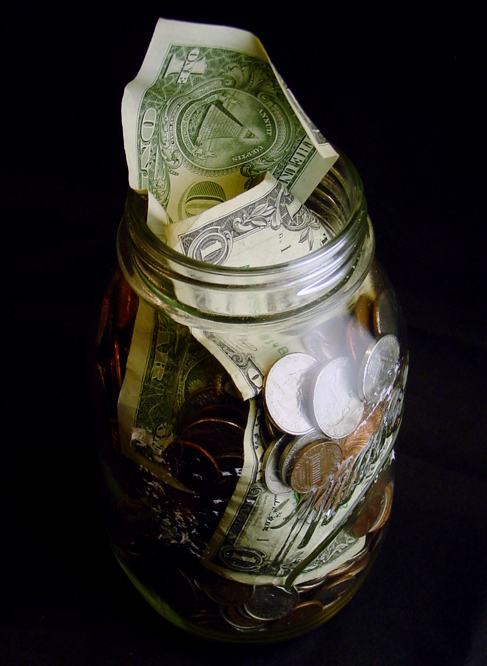 Tipping is a subject that may seem a bit taboo in polite company. People may know how much to tip on a typical meal, but there is a lot of debate on how to appropriately tip in many other situations. Cole and I are intimately familiar with what we see as the proper way to tip at a bar, but even between us we have a difference of opinions. On this week's episode, we explore tipping at bars, restaurants, and a few other spaces where people might not know the proper protocol when it comes to leaving a tip. 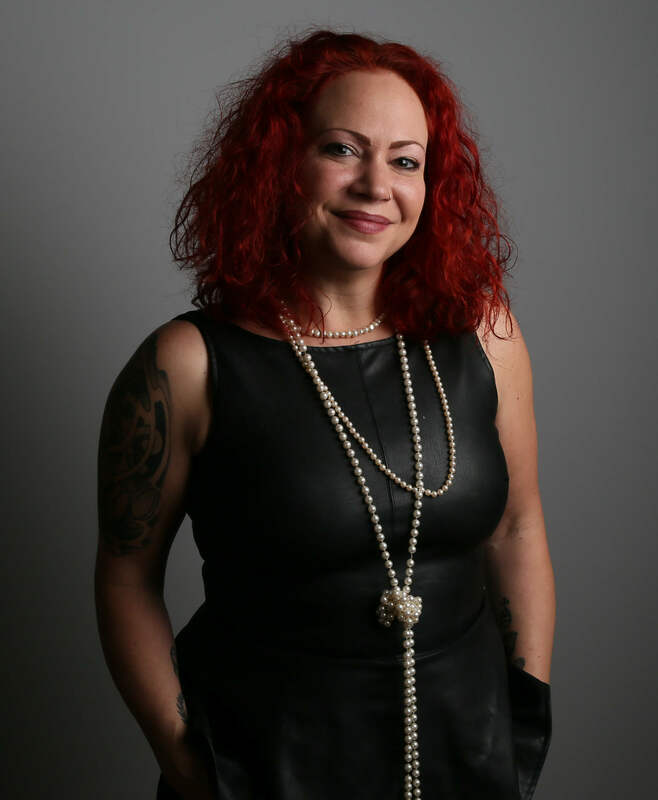 Joining us this week is Marci Semper, who works as a stripper on Bourbon Street (and has also waited tables and tended bar.) She lends insightful opinions on how to properly compensate for the various services offered in the club. We are also joined by Josh Benitez, who is not only a musician but also a pedi-cab driver who gives his thoughts on customer interactions in both of those worlds. Join us and learn how to tip like a pro! Thanks as always for tuning in. The life of a typical bartender often entails long shifts, late nights, junk food, and some hard partying. Don't get me wrong. All of that is fun, but especially now that many of my peers and I are well clear of our 20's it's time to start considering how to take better care of ourselves. This week Michelle Lewis joins us to talk about working in the industry and eventually getting out of it and embracing a new career as a holitstic coach. So what exactly is a holistic coach? Imagine all of those times you tried to get healthy but nothing seemed to work. Michelle specializes in working with individuals and helping them understand the nuances of how their bodies work. Proper diet, regular exercise, and overall balance are all things that Michelle works to help her clients achieve. 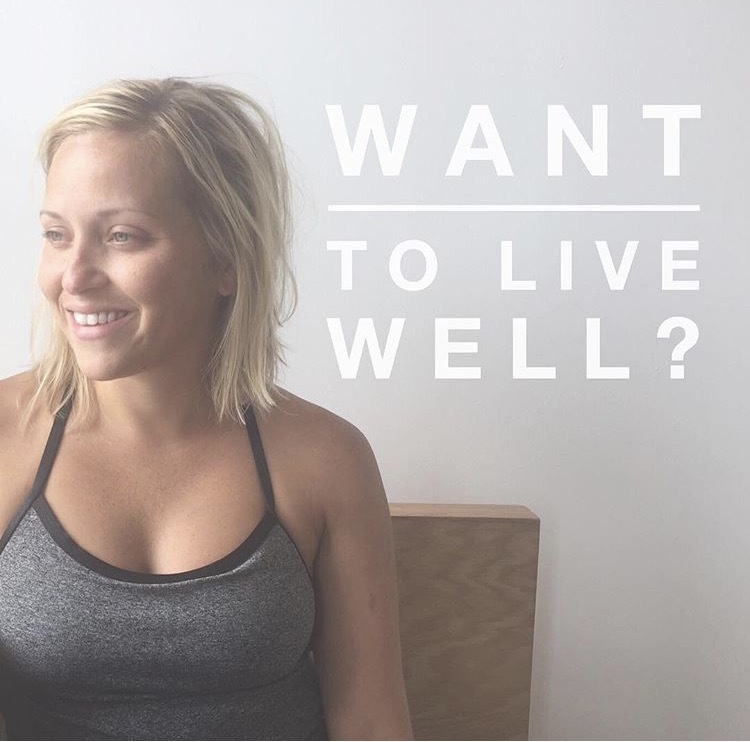 For more information, you can reach Michelle on Instagram under the handle @livingwell_michelle. Anywho, to your health and mine! Enjoy the episode and thanks for listening! It's Tales of the Cocktail time! This week we welcome a guest who is synonymous with not only Tales, but many other bar related events around the world. That would be none other than the man, the myth, the legend: Rocky Yeh! In this episode, we get to know a little bit about Rocky, a cocktail enthusiast turned brand specialist. Specifically we talk about Rocky's first time visiting New Orleans and how it has become one of his favorite cities to visit. To me, this episode was truly enlightening because it showed the impact that attending events like Tales can have on one's life as well as career. Anywho, sit back, relax, and enjoy as we discuss fried chicken and shirt optional policies in bars. Have we got a sweet treat for you this week! Summertime in New Orleans is characterized appropriately by an oppressive and nearly inescapable heat. It's a joy to learn that the folks who have lived down here for a long time have come up with measures to combat this tropical climate that we love to hate. Among these cures are pool time, tubing trips, ice cold neighborhood bars, and (probably most important) the Sno-Ball. To many outsiders, a Sno-Ball may appear to be no more than your average snow cone, but it only takes one trip to one of the classic New Orleans Sno-Ball stands to realize the unique quality of this icy delicacy. No conversation about Sno-Balls is complete without mentioning the most iconic institution to this wonderful treat. 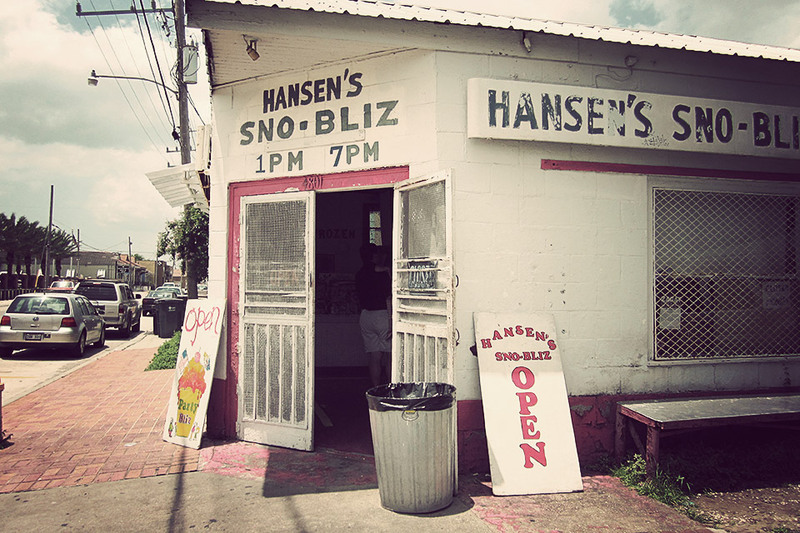 Hansen's Sno-Bliz has been around since the 30's. Their legacy as a Sno-Ball powerhouse transcends the simple moniker of snow ball stand. They are a fixture and an integral part of the fabric that makes up what is so great about New Orleans. Paul Broussard, who has been managing Hansen's over the past couple of years, joins us this week to give us the history and some of the reasons about why Hansen's is so great. We talk about the family behind it and even nerd out a bit about "good ice". So, give it a listen and make sure to make it over to Hansen's before the summer is over! Thanks as always for listening and we'll catch you next week!